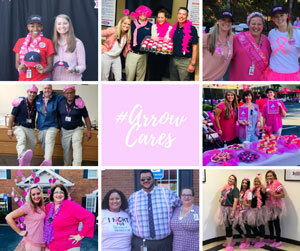 Atlanta, Ga.-based Arrow Exterminators has wrapped up its fourth year of #ArrowCares, a social media campaign to raise money for the National Breast Cancer Foundation. The fundraising campaign ran in the month of October in conjunction with Breast Cancer Awareness Month. Arrow made a $5,000 donation for the fourth consecutive year to the National Breast Cancer Foundation, concluding the #ArrowCares campaign.